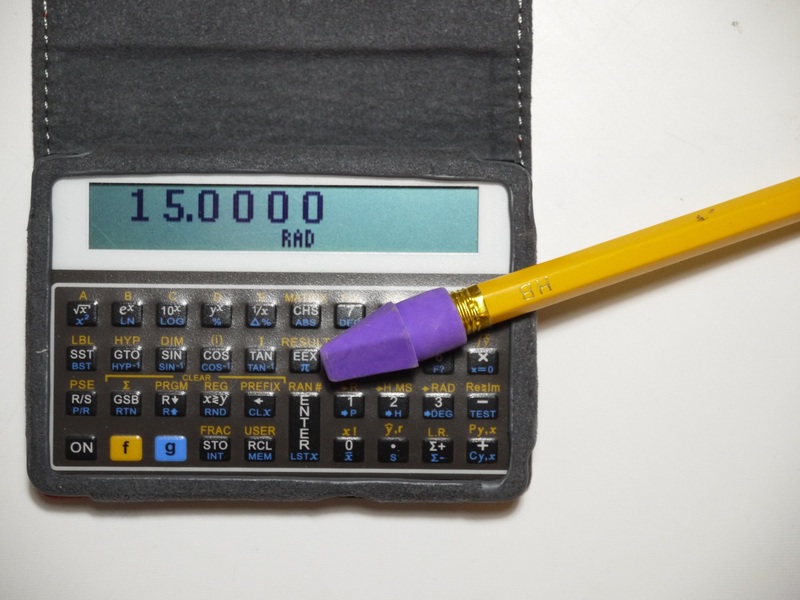 RPN calculators are not so common because it takes a bit of learning until you can use them. 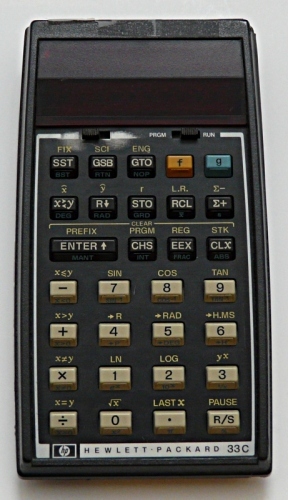 However once you have understood the logic and used them for a while you would never want a different calculator again. The algebraic notation as used by most calculators LOOKS simpler. Telling a student "Just type it in as you find it in the textbook" is easier than explaining how RPN works. Have however a look at this interessting experiment that compares calculators with RPN and algebraic notation. Greg Hewgill's HP-15c: http://hp15c.com/. He has versions for Windows and Mac as well as a java swing version that can be used under linux (run: java -jar HP15C.jar). The java code startup is very slow. 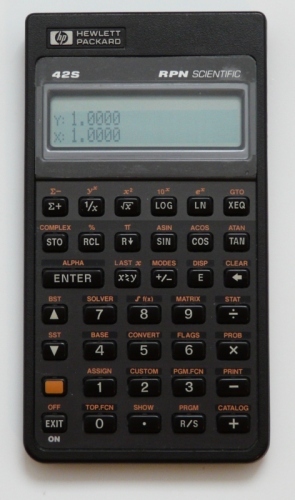 Torsten Manz wrote the best desktop version of the HP-15c: http://hp-15c.homepage.t-online.de. It runs under Windows, Mac and Linux. Elvis Pfutzenreuter: https://epxx.co/ctb/ has a number of apps and calculators including a web based HP-15c emulator. 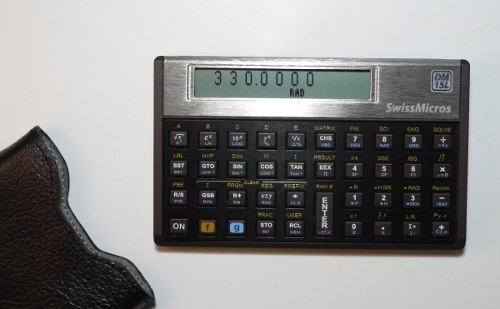 Originally I did not collect RPN calculators. I bought them because I used them. Later I bought some (like the hp12c and the hp-prime) just to have them. I bought this hp15c in 1988 and it was my first RPN calculator. It has the right size and is robust. I am using it a lot but it is still as good as new. I really like this calculator. 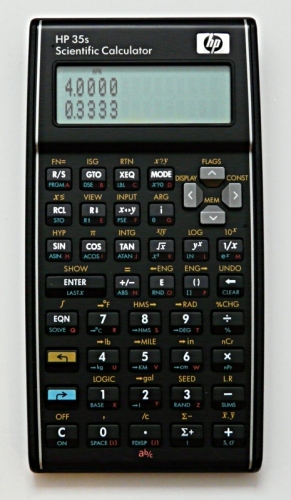 There are others calculators which are more powerful and faster but out of all the calculators I have I am only using this one. 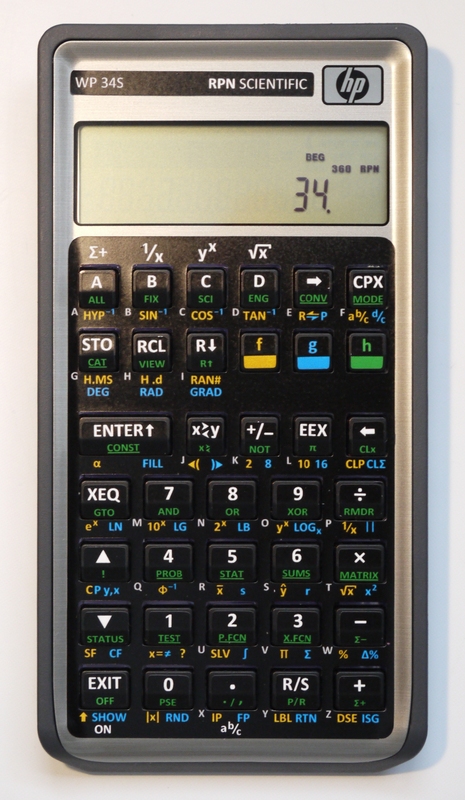 The HP15c is the best calculator. I just love it. 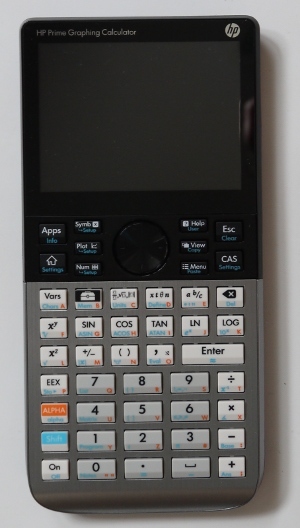 You will never use another calculator once you get used to its logic and the HP beveled keys with this rotate-and-click effect. It's interessting that this calculator is "1 * π inch" high and "Φ * π inch" wide (where Φ=1.61803...=(1+sqrt(5))/2 prounouce: phi, Φ is also known as the "golden ratio", π=3.141... prounouce: pi, Φ*π=5.083). 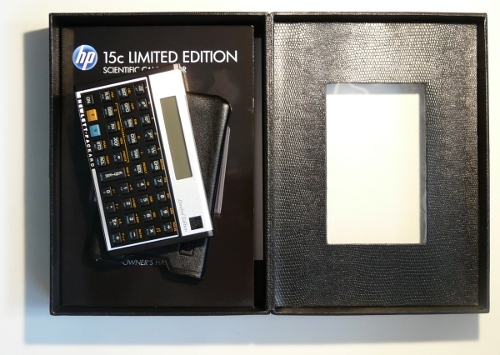 For several month a petition was circulating on the internet to bring back the 15c and it seems HP took notice and produced end of 2011 a "15c Limited Edition", the HP15c-LE. It does not only look similar to the original. It is very much like the original with some small differences. On the down side are a number of firmware faults: hpmuseum.org, list of 15c LE bugs but on the up side is the advantage that the 15c-LE runs faster than the original 15c and it has the same good quality keyboard with an excellent "click". The list of faults of the HP15c-LE might look long list but the only real problem is the fact that the PSE (pause) function can only be called once per program execution. The non working low battery indicator is pretty bad too but you can just use a voltmeter and test the batteries once in a while as described in my hp15c-le battery test article. There is no need to take the batteries out for testing. All programs that I have ever written are however not affected by that PSE bug. It's a bit unfortunate that the HP company of today is not any more the company that took pride in producing high quality measurement equipment and calculators. They have not provided a firmware update until a year later and I don't think they will. 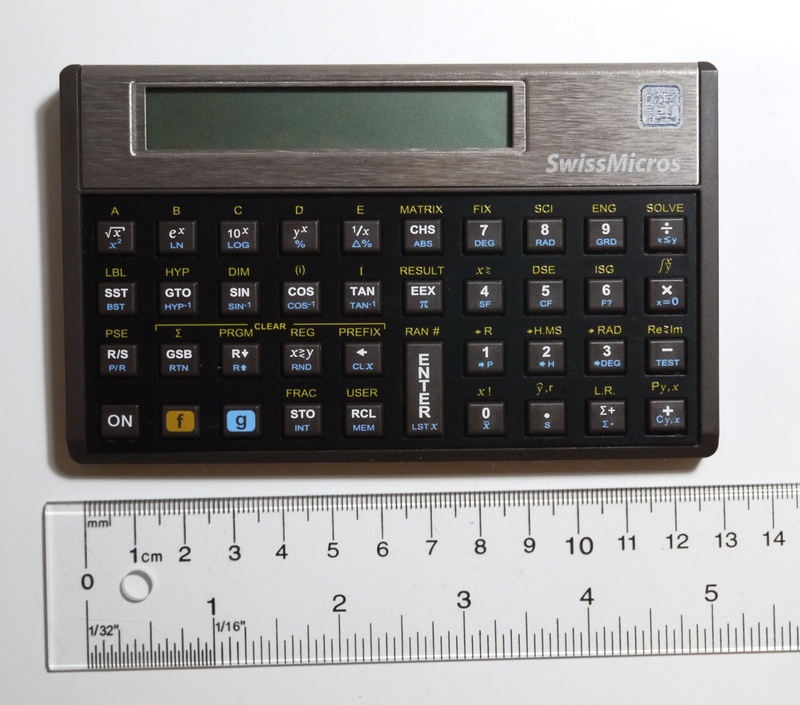 www.swissmicros.com (previously known as www.rpn-calc.ch) produces a hp15c compatible calculator. It's emulating the original Voyager processor on new hardware and runs runs original HP15c firmware. 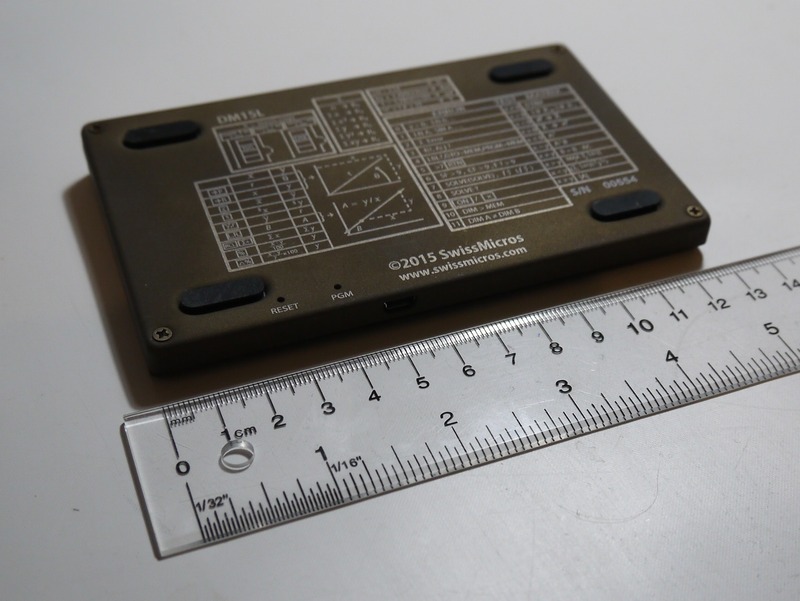 The hardware is designed with firmware updates in mind. It has therefore as opposed to the HP15c-LE no software bugs. I like the fact that the color scheme follows the original hp15c. 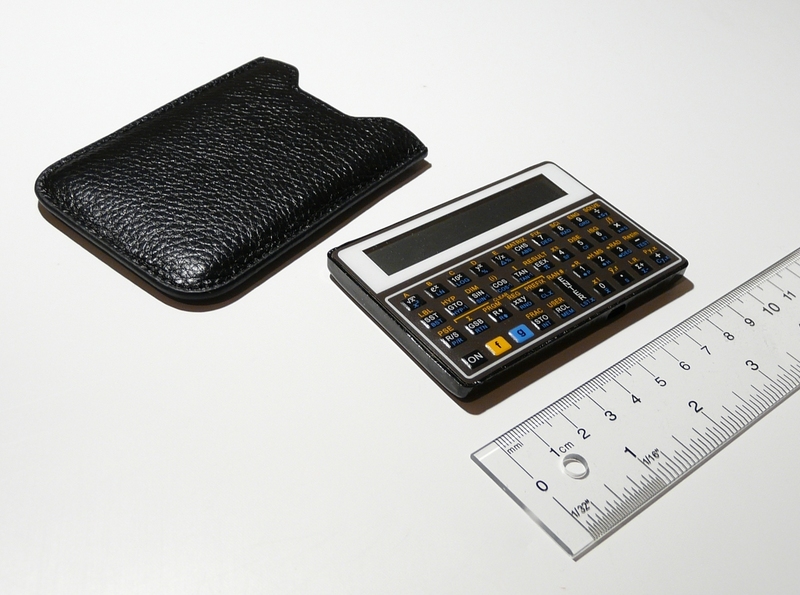 The calculator is roughly the size of a credit card. The keyboard could however be improved a lot. You have to really watch what you type or you have to use a pencil with a soft rubber eraser and type with the rubber end of the pencil. Those rubber eraser tips that you can put onto the end of a pencil give the best results. 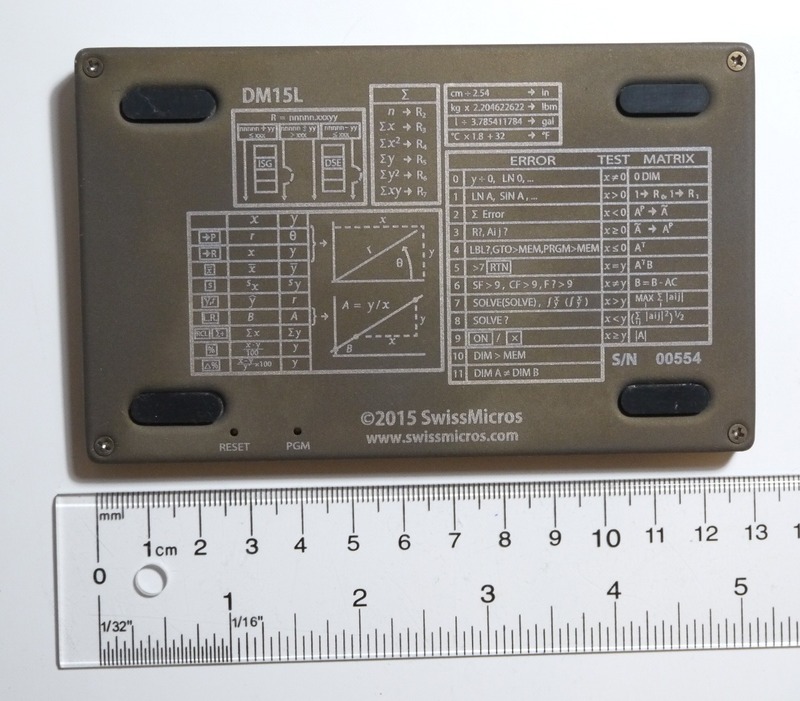 Swissmicros.com produces since Oct 2015 a new model called DM-15L. 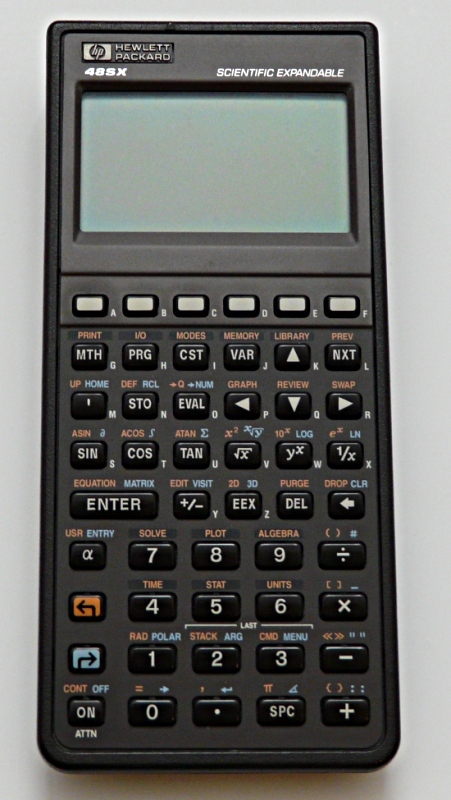 That calculator is really the best HP-15C clone that I have seen to this date. The keyboard is much better than the one on their small credit card sized editions. 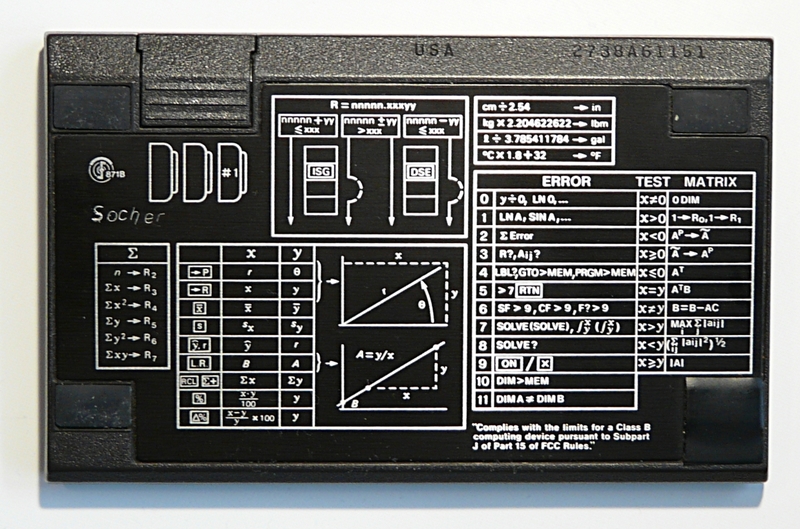 This is a very well designed calculator. The case is super strong, has the same dimensions as the original and weighs approximately the same as the original. The keyboard had initially some issues but they fixed them and it works now very well. The keys are flat and not beveled but they do the job. The original HP keyboard is better but the DM-15L keyboard is totally usable altought it is possible to presss a key without it registering which does not happen on original HP-15c calculators. 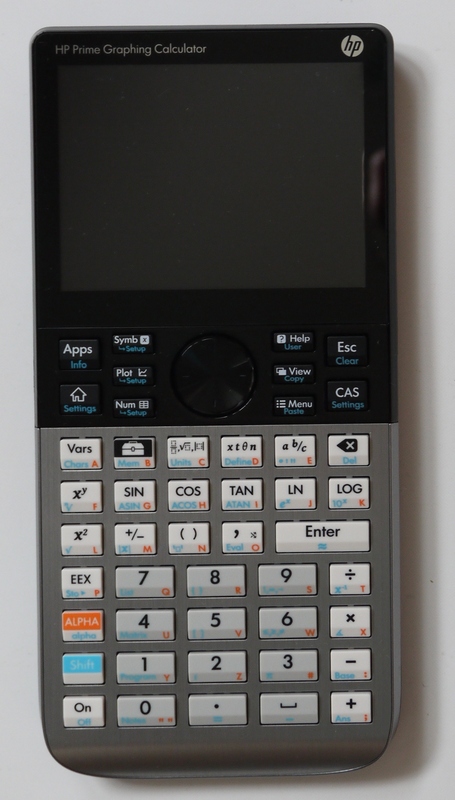 This is a good and usable calculator but you should watch the display while you type. The DM-15L has a serial number on the case. I have three DM-15L with the S/N 430, 554 and 532. A lot of calculators are "portrait" shaped and you hold them with one hand while you type with the index finger of the other hand. This is not how the HP15c is supposed to be used. You hold the HP15c in both hands and you type with both of your thumbs. It's a much faster then just typing with one finger. The HP15c has a very ergonomic shape allowing for fast typing. The HP15c is very easy to use and program but the program code is hard to read (a bit like assembly language) without explanations. I include therefore the algorithm with examples. http://www.hp15c.org/RPNHowTo.php, Christopher Woodhouse's hp15c petition page has a RPN-Howto. http://hansklav.home.xs4all.nl/rpn/, Hans Klaver's RPN Tutorial. This results in the stack as shown on the right. The -2 is considered "computed" and we get an automatic stack lift when the next number is entered, 1 in this case. If we enter however "0" instead of the two then we get a different behavior. This is the only known bug in the original HP15c and you can work around it by always pressing an extra enter if the number you want to CHS on is already entered or computed. This would keep at least the X and Y registers (bottom two) the same even if there is a zero. I have long been looking for a good replacement pouch for the 15c. 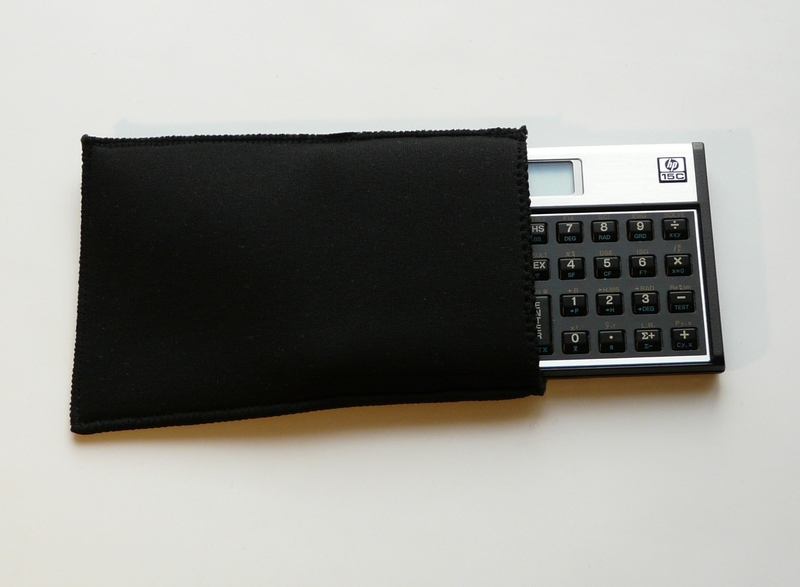 Especially the HP15c-LE pouch is too hard and too sturdy. My old one is on the other hand wearing out and getting too loose. After trying several options I made some pouches out of neoprene and they are really good. If you want one, you can order them here: http://shop.tuxgraphics.org/fan/hp15c-hp12c-pouch.html. 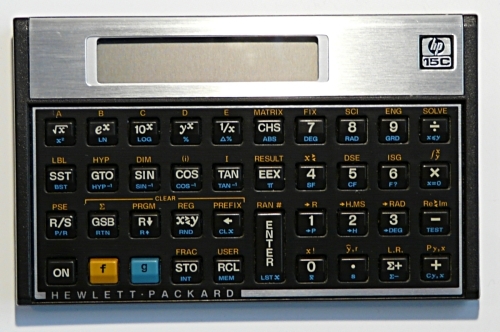 The HP-11c is basically the predecessor of the HP-15c. HP added, after the success of the HP-11c, a number of additional features to the HP-11c and released it 10 month later as the HP-15c. I bought this HP-11c on ebay just for nostalgic reasons. This HP33c was my second RPN calculator and I got it second hand from a friend who did not want to use it anymore. Unfortunately I don't have the original battery pack. 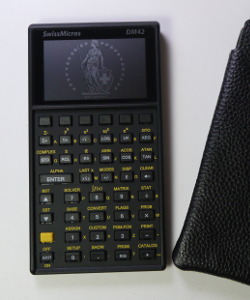 I bought this calculator from swissmicros.com in 2018. This is a good calculator. It has a good weight of 175g. It is mechanically very solid and the keyboard is good. The original HP keyboard is better but the DM42 keyboard is something you can get used to. It is an improvment over the DM15L keyboard but occasionally it is still possible to presss a key without it registering. 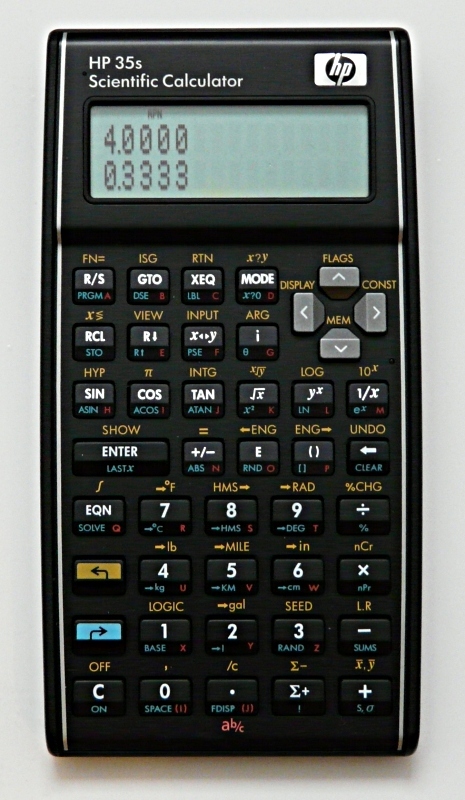 The DM42 is based on the code of Free42 (http://thomasokken.com/free42/ by Thomas Okken). In other words it is a complete rewrite, not using any HP code. It does not have any of the bugs that the original HP42s had. I can recommend this calculator. It's very good. The display is very interesting. 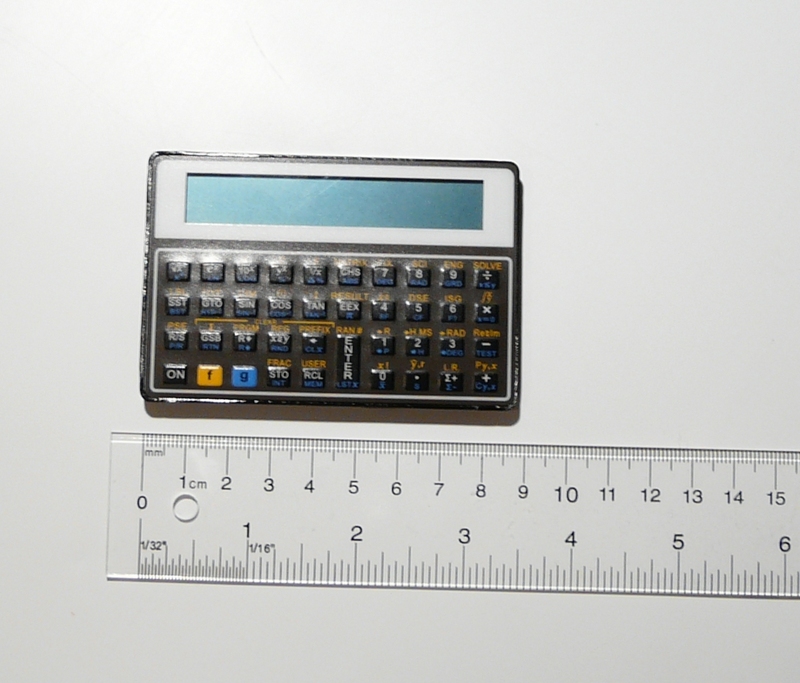 It is a digital paper display that can display images even when the calculator is off. The DM42 comes with a collection of "off-images". Those images are displayed when you turn the calculator off. Every time a different image. 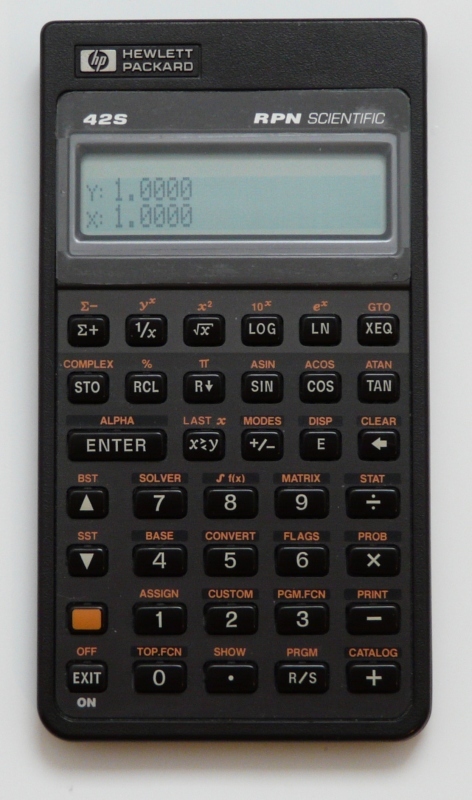 The display is quite large and the calculator can therefore show the entire stack and any software menus. 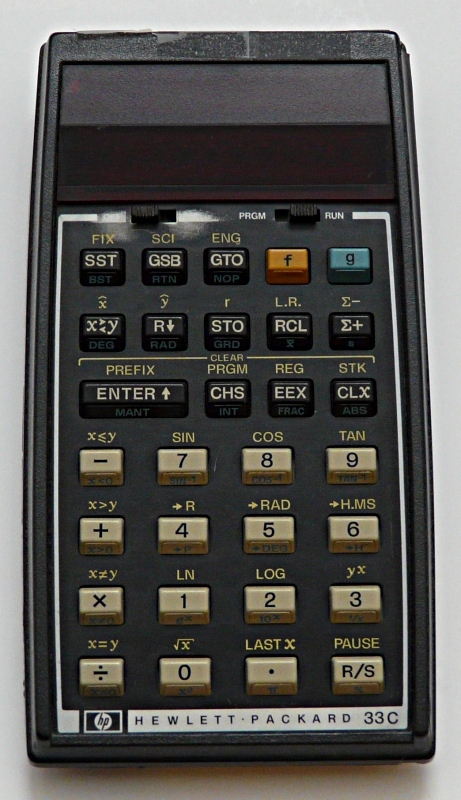 The original HP42s had only two display lines. 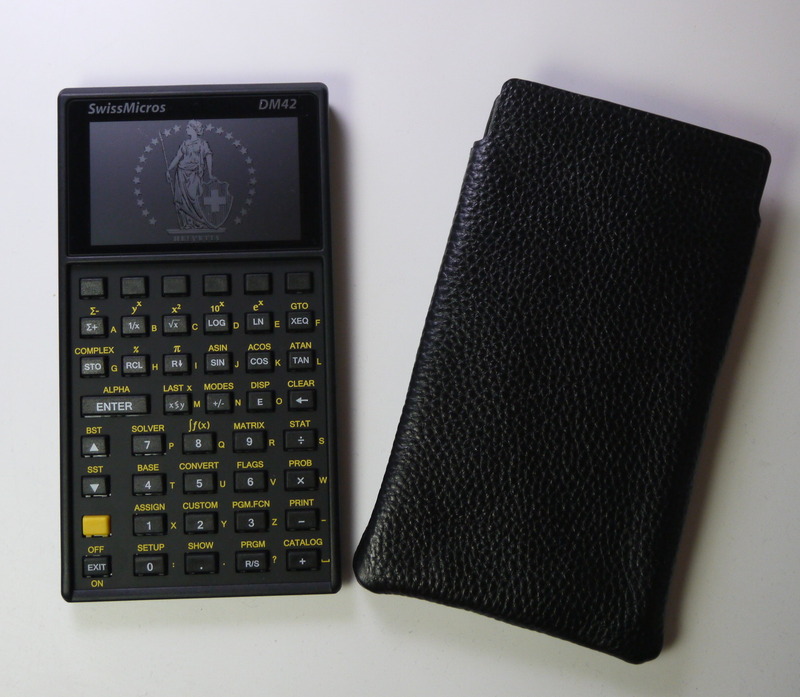 The DM42 calculator is about the same size as the original HP42s (a bit smaller) despite the larger display and an extra row of function keys. I bought the HP42s in 1991. A very powerful calculator with a lot of functions. 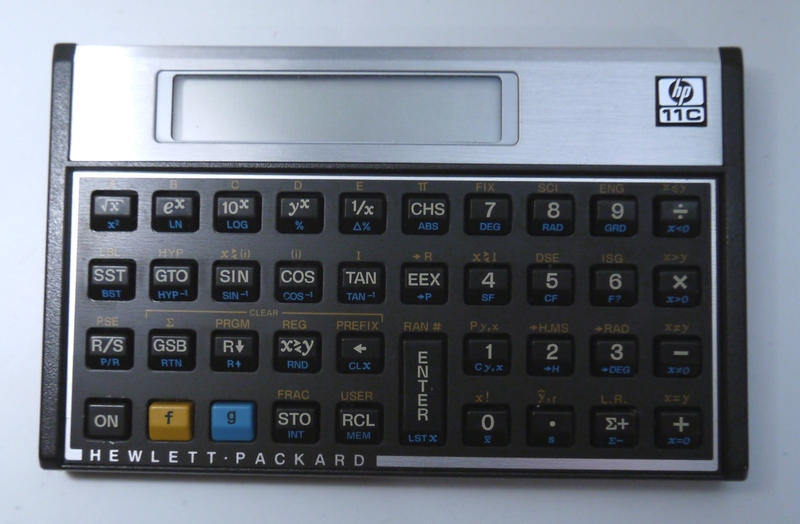 I bought the HP48 in 1992 but I did not use it too much. 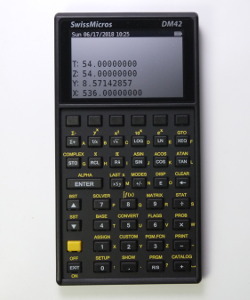 It was good at the time but has too many function for which you would not use a pocket calculator but rather some Math-software on a PC. Over time I found that a pocket calculator has to be just handy and compact. There is a HP48 emulator for linux but it is quite old and you may encounter problems with regards to keyboard mapping and usability. This is a 2008 hp-35s. 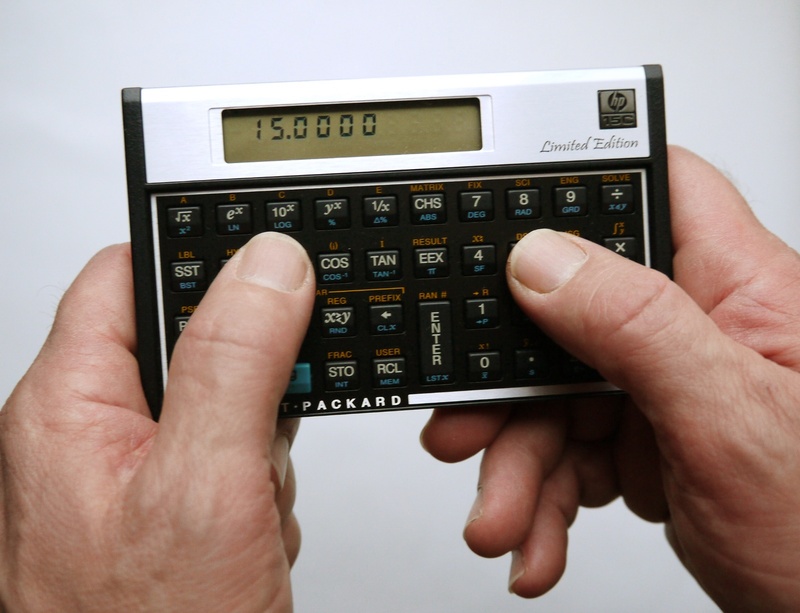 For many years HP did not produce anymore any good scientific RPN calculators. 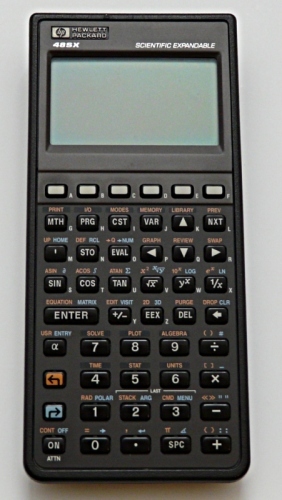 They had only bulky graphing calculators in ugly metallic design. 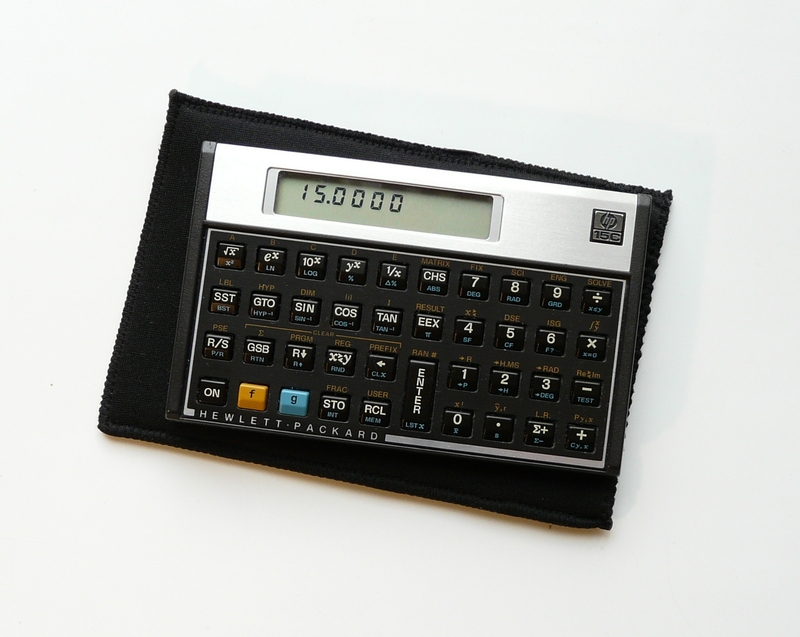 This is, after many years, the first scientific RPN calculator which comes close to the successful classic RPN calculators. I like it. This is a 2008 hp12c platinum. 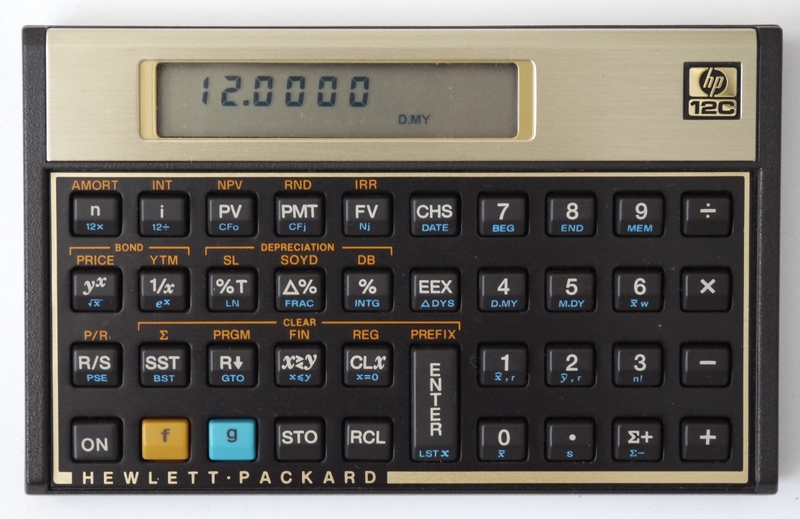 The HP12c financial calculator is one of the few calculators that changed very little since the introduction in 1981. 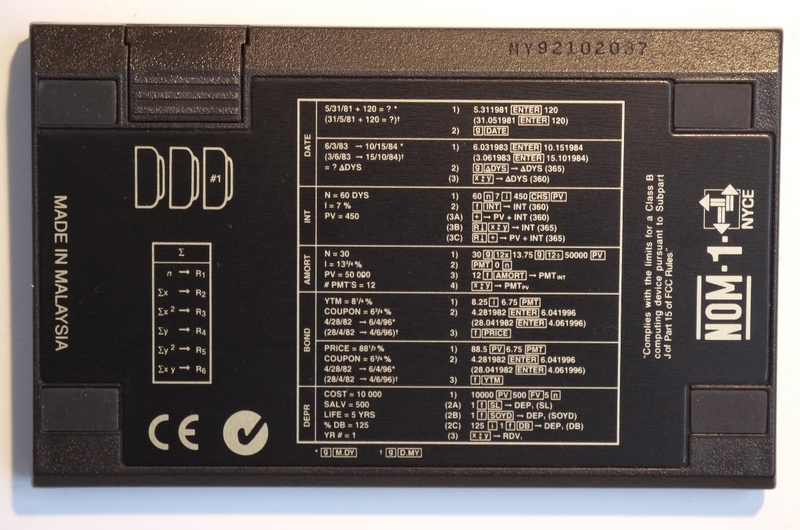 This is a hp12c which I bought on ebay. It's in pretty good condition and it must be from the 90's. The HP12c has no trigonometric functions but you could use the following approximations if you ever need those functions. This is a very interessting machine. 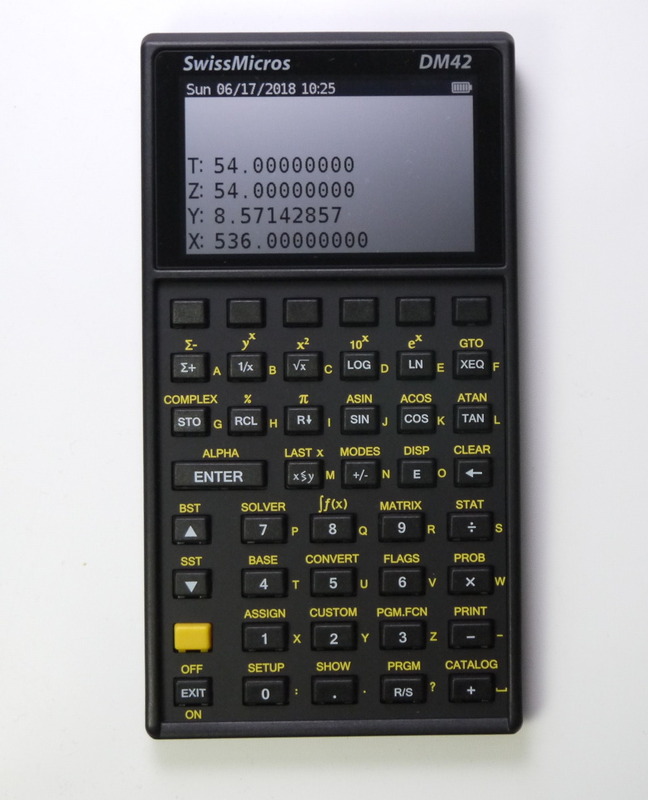 It is based on the HP30b calculator with a keyboard overlay and a different firmware. There is a well an additional clock crystal installed. It's all open source apart from the hardware. It was designed by Walter Bonin and Paul Dale. You can order it at http://commerce.hpcalc.org/34s.php. The manual and other documents are available at http://sourceforge.net/projects/wp34s/files/ and there is a wiki at http://www.wiki4hp.com/doku.php?id=34s:repurposing_project. It is packed with functionallity and has 3 shift keys (f, g and h). I love the idea. It's like a hp42s++. 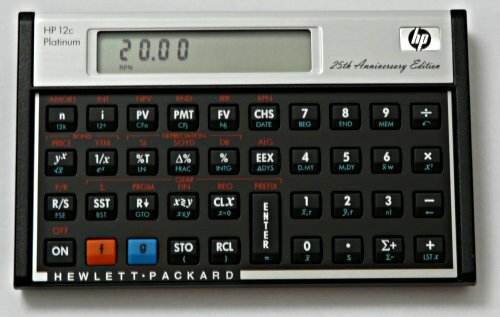 http://www.hp.com/calculators/, HP produces again some of the classic RPN calculators.